A good find there it seems Keith. I'd love to have a look next time we meet up. I'm often suprised at the wide variance in prices for the same item. For example, Invasion by K Macksey can be had from £0.01 plys £2.80 p&p all the way up to the £50 mark! It doesn't make sense. 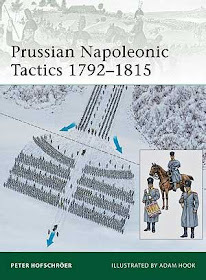 The book has been very influential: The big battle rules, in particular pre-figured DBA in many ways. It's a pity Wesencraft doesn't get more credit these days.